These are great! Every Graphic Designer loves a bit of Pantone humour, right? 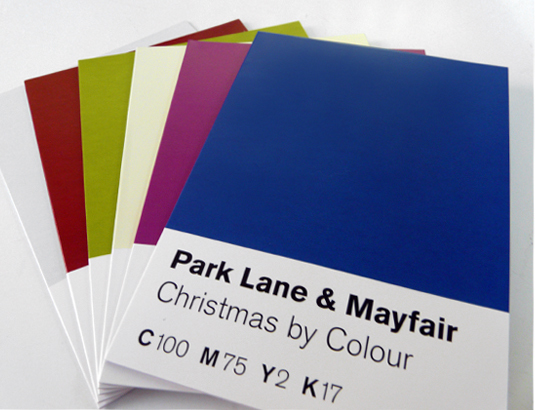 ‘A set of twelve Christmas cards based on colours submitted to our Christmas by Colour project. The cards are split into two packs with six in each pack. 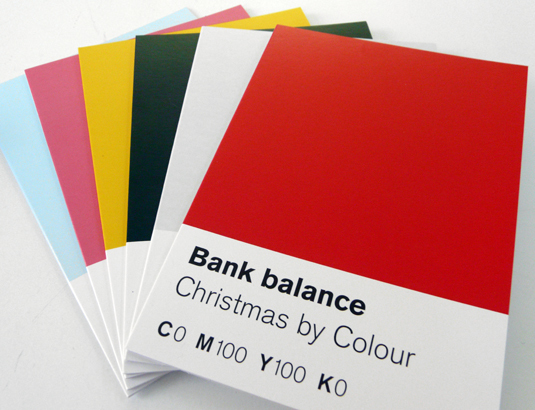 Printed 4-colour litho on Trucard, the cards measure 165mm x 117mm and are blank inside. White envelopes included.